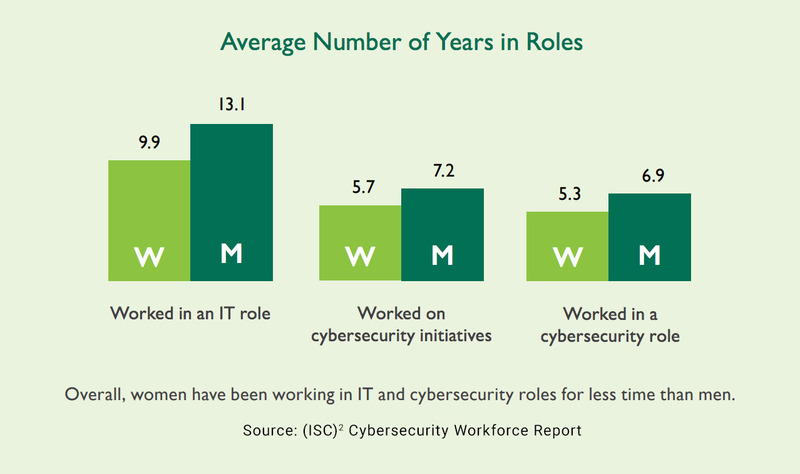 According to a new study conducted by the nonprofit membership association of certified cybersecurity professionals (ISC)2, women now represent 24% of the cybersecurity workforce. "Study reveals women working in cybersecurity are younger, have achieved higher levels of education and are assuming leadership roles at higher rates than men." (ISC)2 further adds that "[w]hile men continue to outnumber women in cybersecurity and pay disparity still exists, women in the field are buoyed by higher levels of education and certifications, and are finding their way to leadership positions in higher numbers." It is hoped that as women succeed in their profession, they will serve as catalysts for other women to join the cybersecurity workforce. The study surveyed 1,452 individuals from North America, Latin America, and Asia-Pacific with a plus or minus 3% at a 95% confidence level. Local Time: Tuesday, April 23, 2019 07:27 AM PDT – Page Load: 0.2544 Sec.